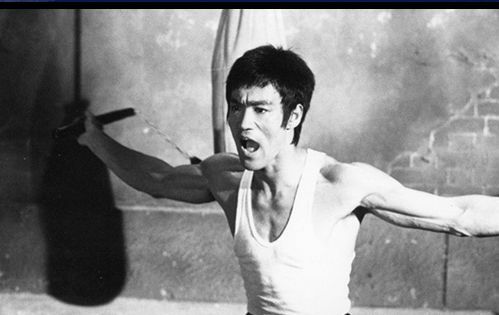 Bruce Lee, born on 27 November 1940, was not just a legendary martial artist but also a renowned movie star, philosopher, and cultural icon. 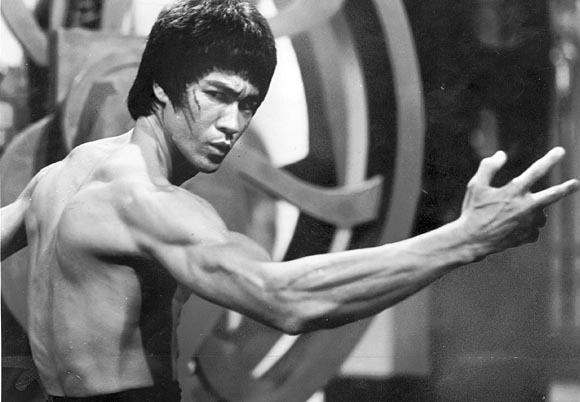 Lee captured everyone’s attention with his magnificent performance in the movie Enter the Dragon back in 1973. However, he tragically passed away the same year at the age of 32. His approach to martial arts was broad-based, and he believed that creativity could only be achieved if you apply it without restrictions through freedom of mind. 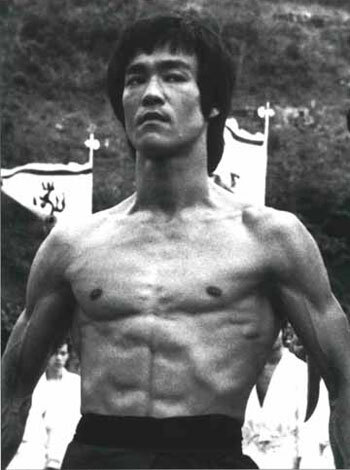 Though he was originally trained in the traditional Kung Fu style (Wing Chun) by his grandmaster Yip Man, Lee progressed further and invented a new style of fighting, called Jeet Kune Do that is based on the philosophy “Absorb what is useful, reject what is useless.” Even 42 years after his death, athletes and martial artists are still inspired by his wiry strength, lightning speed, and immense flexibility. Here is how Lee managed to develop such a functional body. Being a hard-training athlete who spent hours every day on exercising, Lee was very choosy about his diet. He did not consume any such food, which he thought could weaken him or harm his body. He had a special liking for Chinese food since he believed that it contains vegetables and rice that are rich in carbohydrates. He spread his regular carb intake across 4-5 meals. Instead of having coffee, he favored tea. Lee managed to gain a weight of 30 lbs by relying heavily on protein-rich drinks, which he prepared by mixing powdered milk, weight-gain shakes, royal jelly, ginseng, and vitamin supplements. 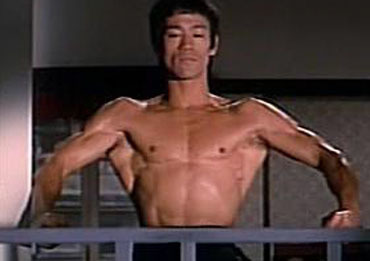 In the late 50s and early 60s, Lee was able to perform incredible training exercises such as one-inch punches and two-finger pushups for improving his strength. 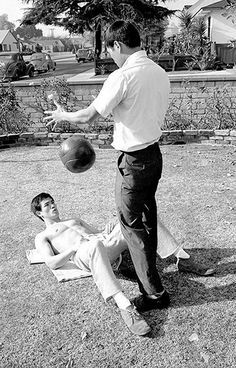 However, after winning a duel with Wong Jack Man in 1964, he decided to reconsider his training methods. He adopted a sophisticated and intensive workout routine to develop strength and fitness. He used to change his training regime frequently, but always kept a record of them. Lee devoted several hours to practice a wide range of punching and kicking drills. 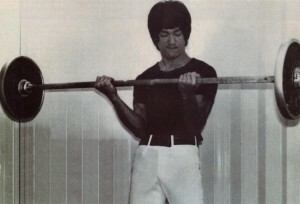 With an objective to develop strength and stamina, Lee started devoting time to weight training. He focused on a well-rounded training program and started his daily workout schedule by doing reverse curls. Two alternating sets of workouts were done on Tuesdays, Thursdays, and Saturdays. Running: On Mondays, Wednesdays, and Fridays he would run around 4 miles in 20-25 minutes, changing his speed throughout the course of running. Rope Jumping: On Tuesdays, Thursdays, and Saturdays Lee would skip rope for 30 minutes. This helped him improve his leg muscles and stamina. Cycling: His rope-skipping workout would often be followed by high-speed cycling on an Exercycle that would last for 45 minutes. 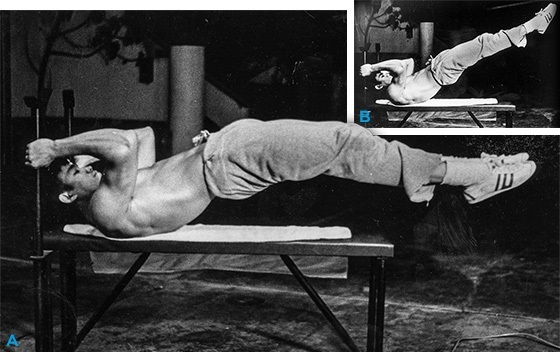 In addition to the above exercises, Lee would strengthen up his abdominal muscles by doing the Dragon Flag, an intense core exercise that engages the full body. While lying on the ground, he would also let his fitness trainer drop the med ball on his gut to toughen his core muscles. If you are aiming to gain strength and develop a flexible body, you can try to incorporate some of these exercises into your workout routine. 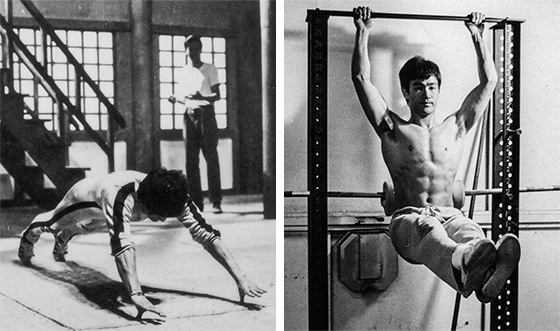 Well.Bruce lee is one of the best. And i have follow his steps which has really changed me.